His thesis, entitled Automated Detection and Repair of User Interface Bugs in Web Applications, proposed new techniques to fix bugs present in web applications. While most existing tools focus on identifying errors in interfaces, Oussama’s thesis proposed new techniques to also localize and explain these errors. These solutions were based on Cornipickle, a web testing tool invented at LIF and on which many students have contributed over the years. Oussama’s work has been the subject of three scientific papers, including one in the Journal of Logical and Algebraic Methods in Programming (JLAMP), published by Elsevier. Cornipickle has also been concretely used in a web development company from the Saguenay-Lac-Saint-Jean area. 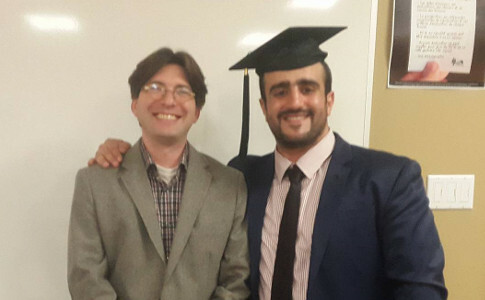 Oussama is the second student supervised by a professor from LIF to complete his PhD. Congratulations Oussama, and good luck in your future projects!